Bamboo Land offers accomodation to registered WWOOfers (Willing Workers On Organic Farms). The WWOOF program enables travellers to work for their board (food and accomodation). 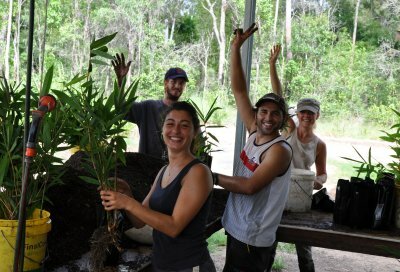 If you are not a registered WWOOFer and would like to become one, or you would simply like to know more about the program, check the WWOOF website (www.wwoof.com.au). People from all over the world are welcome to come and stay at Bamboo Land. It is hoped that the stay at Bamboo Land is valuable and enjoyable experience for the guests and ofcourse beneficial and a good help for the host - its a type of exchange program. Guests become 'part of the family' and are welcome to take part in social events like BBQs, meals at 'the pub', etc. whilst also helping out with the chores such as cooking, shopping and cleaning. It is expected that WWOOFers work for 6 hours per day, 5 days a week. Work starts at 7.00am and finishes at 2.00pm, with 1 hour for lunch. Weekends are time to relax. It is preferred that the minimum stay be no less than 2 weeks. This amount of time is needed in order for guests to really have the time to settle in and learn the routines and jobs of the nursery and the household. Having a car is advantageous but not necessary. The closest town is about 5km away. The work is generally quite varied. Some days will be spent out in the gardens - pruning, weeding, raking, etc whereas other days might be spent potting up plants in the nursery. Preparing and packing plants for orders is also part of the work. Meals are usually cooked together and usually contain meat. So for those vegetarians out there, you may have to improvise and make you own, or alternatively take charge of the cooking and create some wonderful vegetarian dishes to impress your host. Accomodation is in a large modern house. The bedrooms are well furnished and guests have access to their own toilet and bathroom. Guests have free use of computer and broadband internet. Bamboo Land is located on a river-front property, which means that its an ideal location for swimming, fishing and canoeing. Canoeing on the calm fresh water of the river is a great way to experience the natural scenery and wildlife of the area. The afternoons can easily be spent around the house with a couple of games of table tennis or a simple laze around the pool. For the weekends, there is plenty to see and do in the surrounding area. The most spectacular is the world famous Fraser Island which is just a short boat trip from Hervey Bay. It really is a spectacular place and a must see for travellers. From late July to November is whale season in Hervey Bay, during which time there is a multitude of half and full day whale watch tours available. Other nearby places which are recommended to visit are Rainbow Beach (for a great surf beach) and Tin Can Bay (to feed and swim with dolphins). Here is was past guests have had to say about their stay. Very nice stay. Welcoming people and not bad job. Very beautiful house and garden. Peaceful and relaxing week. Thoroughly enjoyed my stay at Bamboo Land. An amazing place with so much to offer. Felt like at home, always made us feel very welcome and included. Amazing hosts!!! Thoroughly enjoyed our stay. Treated like family and shown how to really relax and enjoy work and play! Great hosts and would highly recommend you to all my friends and family. Thank you! Very good experience! Beautiful place and lovely person....you're great! Thankyou for everything and see you soon, maybe. PS. I wish you happiness with the arrival of the baby in a few months! Enjoy. Very good! My first experience in nursery and bamboo....and I like this! The hosts are very cool...a good place. It was an amazing experience. I found very nice people and I felt part of the family. I enjoyed working with everyone in a prefessional but fun workplace. A really good experience. I felt like at home, I spent my time working and enjoying with them almost everything - they have been like friends and parents to me....always honest and friendly. Im happy to had chosen this place for my experience. I learnt a lot of things about bamboo and gingers. I really liked....I will never forget this place "Like at home". This place is the best farm because everyone is very friendly and kind, meal is very good, the work is very fun! If I work at the wwoof, I want to work here again! The wwoofing experience in this place is more worth than a lot of things I have seen before. I am so glad that we went to Bamboo Land and met Tarissa, Janne, Nelson, Mika, Jason, Sam, Megan, the snakes, frogs and kangaroos. Bamboo Land was my first WWOOFing place and it could nob have been better. The work is good - always in sunshine and just sometimes weeding . But the most amazing thing was the food. Every single day it was delicious. We will miss you Janne and Tarissa, Nelson, Mika and the rest of the team. This place felt like a small resort. Very very nice people, very good working conditions and amazing food. 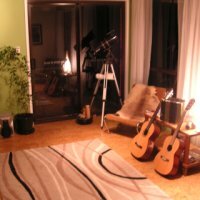 I have had a very good time here and would absolutely recommend it to everyone looking for a real good WWOOF experience. What an awesome experience! Thankyou so much for the kindness and hospitality that you have shown me. Bamboo Land is a wwoofer's heaven. Just one negative point - you can't stay here forever, before or later you have to leave. Every WWOOF host should take example of you. Thankyou very much. I wish you the best with everything. I experienced a lot of things. I made very nice friends and exchanged culture to each other. While I stay here, I could be happy! I love you! Be happy! I had an amazing time here. Working in the nursery was very interesting. I definately recommend this place for every wwoofer! Thankyou for everything and let me know if you come to France. I stayed here for nearly 4 months. I met lovely people, I learnt a lot of new skills about gardening, and I lived in a beautiful place. Very interesting work and great place! I had an amazing time. Thank you very much! I will never forget it. This was definately my best wwoofing experience! A great room, nice hosts and good food in exchange for easy work is a great deal. Thankyou so much for a lovely stay. Your property is beautiful and it is a shame we couldnt stay longer. I have learnt many new skills and a lot about bamboo. I hope your plans for the business go well. It was great to WWOOF somewhere with other travellers and people who have experienced travelling. Thanks so much for having us stay for the last week. Its been great and its a real shame that we cant stay longer. I feel like this is the kind of place where I could have weeks fly by without noticing. Thankyou for a truly wonderful stay. We have enjoyed getting to know you all and had lots of fun and laughs. We both feel more knowledgeable about bamboo and garden skills and have enjoyed the range of work. 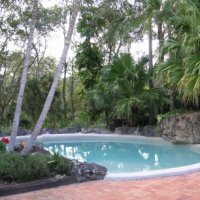 This has been an awesome place to wwoof that we would definately recommend to friends. Thankyou so much for the warm welcome and enjoyable stay. We have both enjoyed our lengthy debates around the dinner table and I think Jason enjoyed some of them as well. We would highly recommend to our friends and would love to come back in the future. Take care of yourselves and good luck in the future. Keep in touch! Thank you for hosting me. Bamboo Land is very nice farm - very beautiful and clean. I had a very nice time. 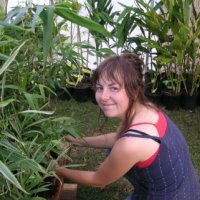 Thankyou for growing Japanese native bamboo in Australia. It was a fantastic time, nice to meet new people from both Germany and France. Janne and Tarissa as hosts have been fantastic. Coming here has been like coming to a family. Im grateful for my weeks here and I hope I'll be able to come visit agin someday. I wish you the best with everything! This 2 weeks will be one of my best memories in Australia. We met very interesting people who had a lot of conversation on various subjects and did a lot of things that I will probably never do again. We have been treated as family members and it was really great. We will miss you and your place (and also Jason, Sam, Nelson, Meika,....). We hope to stay in contact with you and wish all the best for all your projects. Thanks for everything, see you soon for a drink at the 'Old Coach Cafe'!!!! Thanks for everything. Thanks for saying yes to us even if you were not prepared for our visit. Thanks for being cool, fun, nice with us. Thanks for having a house and a garden like this and sharing with us. My visit at Bamboo Land has been perfect, and I will miss it deeply. To live here is like to get to know a new family, we are not just workers, we are people who become like family. The time at Bamboo Land will stay in my memories the rest of my life and if I have the opportunity to come back then I definately will...whether you want it or not :) I will probably cry at the bus and regret my leaving. Love to everyone until we meet again. I am glad to stay in Bamboo Land. I learned many new things. When you come to Korea, let me know because I want to treat you! Bamboo Land is really awesome. While staying in this place I was able to get a lot of energy. Wonderful house, beautiful garden, sound of the wind through the bamboo, big river. Above all, trampoline is my best! I was impressed by you guys big smile and warm hearts! Thank you so much fo welcoming me into your home. I had a fantastic time here and will never forget all of you. I learned so much about bamboo and home made alcohol and most importantly - white chocolate rasberry cheescake! Yummy, yummy!! Thank you for a great stay! I very much enjoyed the work and I was inspired by your plans and energy to expand an already beautiful place. The balance between work and leisure was very well planned and this was definately the best wwoof farm we've visited.Keep up the good work! Meeting fellow Nordics in a paradise such as this also felt like a priveledge....songs, drinks, food and language! I will always think of you when seeing bamboo, and recall good memories. Whenever in the Nordic countries, please come visit. Thank you for a wonderful time at Bamboo Land! I really enjoyed it, getting to know you, the work, your beautiful home and garden. I will always think back on my time here with a big smile on my face. Wwoof-wise, the best wwoof farm - good balance between work, rest and playing with Nelson. I will miss you. You're welcome to come to Finland! Thanks for having us here! Bamboo Land is an awesome place we will never forget! We have learnt a lot of different plants and really happy to make this experience. You are great wwoofing hosts and couldnt do a better job...you're good cooks too!! Thankyou so much for having me. I have really enjoyed my time here and the people I have met, and learnt lots of new things! Thankyou for always making me feel welcome and comfortable in your home. I appreciate everything! 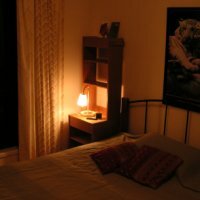 You have made a genuinely cozy place for wwoofers to come and experience. Thank you both for being great hosts and treating us so well. You will always have hard working guests who want to repay you for your generosity. I couldnt have asked for a better first time wwoof experience! I am very inspired to return to Australia and wwoof the rest of the country. You can be assured that when I do return, I'll come back for a visit and share a glass of wine. I am goint to miss working with everyone, the humour and conversations we shared and especially this peaceful place called Bamboo Land, where I have been able to take time to be in my own head space. Thankyou for your hospitality, kindness and friendship. I'll send you some snow! Very happy to stay here. It feels like I have stayed here only for a week. Time flies so fast. Every moment in he gorgeous Bamboo Land is so memorable. Janne and Tarissa both are so nice. It was really hard to leave comment. I very much enjoyed my time here with all of you. You (Janne and Tarissa) are great hosts and very friendly and likeable people and I wish you only the best for the future! Best host Ive ever been! I had a really good time. Friendly, open-minded hosts. Clean, cosy house. Determined working hours with enough breaks. I can recommend every interested wwoofer to stay here!! Bamboo Land is a beautiful property / company. Spending 11 days there was an experience I will not forget. The house we stayed in was very nice and we felt like we were part of the family. Even though there was a room with two single beds, my sister and me got to have our own bedrooms. The hosts are super friendly and hardworking people. They ensure that wwoofers get good and delicious food! I would definately recommend Bamboo Land to other wwoofers. Wow, its amazing here! Hosts are very nice, everything is possible. The work was good, working hours and breaks are good. I would really recommend this place to ther wwoofers. 84 days later and I'm still not ready to leave! An amazing place to do wwoofing - I'd recommend it to anyone. Such friendly and welcoming hosts - definately a home away from home. This is the best wwoof place ever. I really appreciate you guys's kindness and caring about wwoofers. And I never forget the good foods. I was very happy for staying with you. Take care and I hope you guys always happy! An awesome place with lovely hosts and employees. Thankyou for everything, we have both learnt a lot (planting, potting plants, weeding) and cooking. All was perfect - the fire, cinema, rollercoaster. Be sure that we will keep you in touch with pleasure about our new adventures. Simply awesome!! We have had a great time here. We will never stop to say thankyou for your help during our "stress-moment". It has been a great adventure to be part of your family. Absolutely perfect....the coolest hosts ever! Great experience - lovely hosts. Thankyou. Thanks so much for a good experience. thanks for the great time at bambooland. Thank you! It was good to Wwoof for you, you are doing a great job. I am happy I Wwoofed at such a wonderfull spot. We had such an awesome time here - you guys are the best hosts we've ever had! Thanks for teaching us lots about bamboo and we'll see you again (for sure!). Bambooland is a peacefull paradise! Its an amazing idea to have created this garden - the good way to discover the power of the bamboo. Im inspired and happy to have learnt about this special plant. It was so great to work in a so beautiful place and to share with so nice people. Thanks Janne and Tarissa, you're marvellous. And thanks to all the family - it was a pleasure to meet you!! We really enjoyed the stay at Bambooland! The garden is amazing and it was intresting to work on a nursery. It's a great place for wwoofing. Our stay at Bambooland was everything we were hoping to gain from the Wwoofing experience and more; living and working in beautiful surroundings, and being welcomed into the household as if we were part of the family. To all the Bambooland family, thankyou so much for all your generosity, it was a wonderful experience. We couldn't expect better than Bambooland, the place is very beautiful and relaxing. All people that we meet here are very very kindly and friendly, especially Janne and Tarissa. We was very well and we felt like at home. Now we are a bit sad because we must leave, but there will be a return. We highly recommend the stay!!! All is very great!! It is a very nice place and you are just the nicest people! 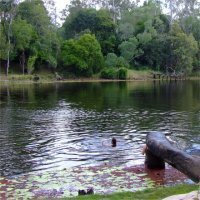 We enjoyed it and all our new experiences, like the Howard pub with the locals;D Hehe, the canoeing and the ants-nests haha! There is loads of things! So thank you for everything, all the nice meals and funny evenings with ping pong or barbecue! we really enjoyed our time at bombooland! we just wanted to stay for one week but it turned into 4 weeks!! bambooland is just beautiful! The atmosphere was great and we met a lot of nice people! We enjoyed the good food and tabletennismatches against our hosts! Also the work is really fun! The time went so fast and we are sad that we have to leave because our time in australia is running out! - and, last but not least, very nice and friendly people, who did their best to made our stay comfortable. The job was pleasant and not too physically demanding, like gardening activities. It was the opportunity to learn a little about Bamboo's world in a relaxed atmosphere. Thank you for all the good moments we spent in Bambooland. Ive definately enjoyed my stay here. 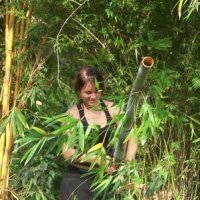 ive learned much of the life and ways of bamboo and have been able to create many different instruments and crafts from using pieces and the workshop here. The staff are really friendly, helpfull and easy to get along with. I have enjoyed my time at bambooland tremendously. it has been amazing to walk among the bamboo giants in the park and it's been inspiring to plant the small shoots and see them grow. The afternoons here have been very creative and there seem to be no end to things you can make out of bamboo. the atmosphere in this place is comfortable and the evenings are great fun as everyone cooks and eats and socialize together. If you are interested in learning and open for new experiences you will find bambooland a nice oasis. had an awesome time and would love to come back in the future and see what new creations and new plants there will be in the park. 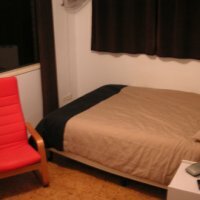 I stayed here for nearly 2 months and I had a great time. I found my paradise at Bambooland! It was nice to live together with the "bambooland family" - easy going people in a problem-free philosophy. I really appreciate the lovely made dinners everyday. Now it's time to say goodbye, the journey goes on to Fraser Island! Thanks so much for a great time and making me feel very welcome and at home! This was my first WWOOF-ing experience and I love it; Bambooland is a beautifull, friendly and relaxed environment. Janne and his family work very hard and it's great to be a part of that. Enough time to play for WWOOF-ers; enjoy walks, canoeing, table tennis or chill out by the pool. Kangaroo's, snakes and lots of birds around. Local pub is a fun experience! Janne's house is great with nice rooms for WWOOFers and I loved the home made bread and open fire BBQ. Good memorries about making (burnt) cookies, coffeetimes, visiting the 'neighbours' and the thunderstorm! 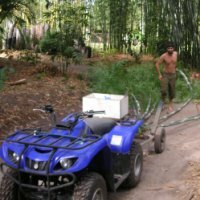 WWOOFers: if your an active person who's keen on a great experience away from the backpackers lifestyle in 'Bambooheaven': come to this place! Thanks Janne, Klas & Mona! This place is fab! Had a great time here and it was my 1st WWOOFing experience. The bedrooms are perfect and meals are great. Janne is a fantastic cook and looked after me well. Had fun on our night to Hervey Bay and in the pub at Howard. Did all sorts of different things like planting bamboo, making bread, bottling beer and general garden duties. Went canoeing down the river in my time off once too! Janne's family are so nice. His dad is great and Mona is lovely. Had lots of nice chats and coffees! I couldn't have asked to have a nicer time and would recommend this place to everyone. Its a very nice place to spend some time.We enjoyed our stay.Work was easy and Janne was cool. Jumping in the pool after work is great. The house is very nice and modern. Dinner was always great.We liked the evenings around the fire. 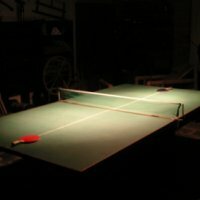 Good place to stay with good accomodation; pool, ping pong...close to Howard. It was nice to go to the pub with the family. The host got a good work structure and give to us an interesting schedule. We did a lot of activities outside of work - brew beer, meet friends, BBQ and other Australian things. To conclude, the bedroom was comfortable and the coffee was really tasty. You already know we enjoyed a lot our stay with you. The house is nice - the backyard aswell. Really quiet. It could not have been better for a first experience.